What does "kicker" mean in poker? - Casino Answers! 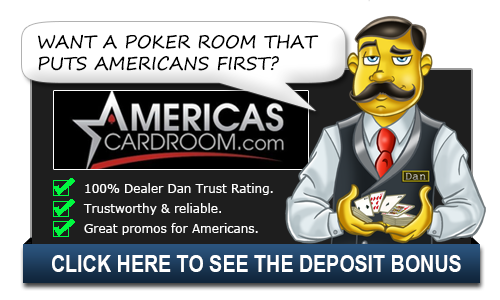 Casino Answers » Poker » Online Poker Beginner Q&A » What does “kicker” mean in poker? The “kicker” is the highest extra card in your hand that doesn’t participate in a straight or flush. The card does not contribute to the strength of your hand except by itself. For example, if you hold QQ943, you have a pair of queens with a nine kicker. Where this comes out most often is in Texas Hold’Em as in this game you have the two hole cards and then a group of community cards. The most common winning hand is one card from your hand mixed with one from the board and the kicker in your hand. So, if you have something like A9 and hit the ace, the nine would most likely be your kicker. Five-card hands (straights, flushes, and full houses) don’t have kickers. In games with community cards, kickers are especially important, because it’s easy for two players to make similar hands. For example, if you hold KQ and someone else holds KJ, and the flop is AK642, you have your opponent out-kicked. Your hand is AKKQ6 while theirs is AKKJ6. In that situation, the queen kicker is the card that actually ends up making your hand the winner. If you had a card lower than Jack, that card would have led to your opponent grabbing the win. The kicker is very important when you get to an all-in situation as that kicker could be the difference between winning a hand and losing one. There are also times when you or your opponent can draw a card from the river that will force a tie in the game. For instance, if you had A-9 and your opponent had A-8 you would be ahead from the get go. The flop comes A-K-K and you are still ahead with two pair, aces and kings, with a 9 kicker. The turn comes and it’s a 4. It doesn’t help either one of you. Then the river comes and it’s a 10. Suddenly, you both have the same hand. A-A-K-K-10 and it’s going to be a split pot. This is why it’s important to try and win the hand as soon as you can. In this situation, you might not be able to get your opponent to fold no matter what you do. It’s also why it’s important to have a strong kicker when you play a hand. There is another definition for kicker when it comes to draw poker. A kicker is an unmatched card that you keep in the draw. Usually it’s an ace with the hopes of either matching it when you get the new draw or using it as the kicker in your winning hand. The kicker in this situation is also very valuable in that you can use it to represent a hand that you don’t have. If you were to keep three cards, a pair and a kicker, your opponent may believe that you are representing three of a kind and thus treat your bets with that level of respect.